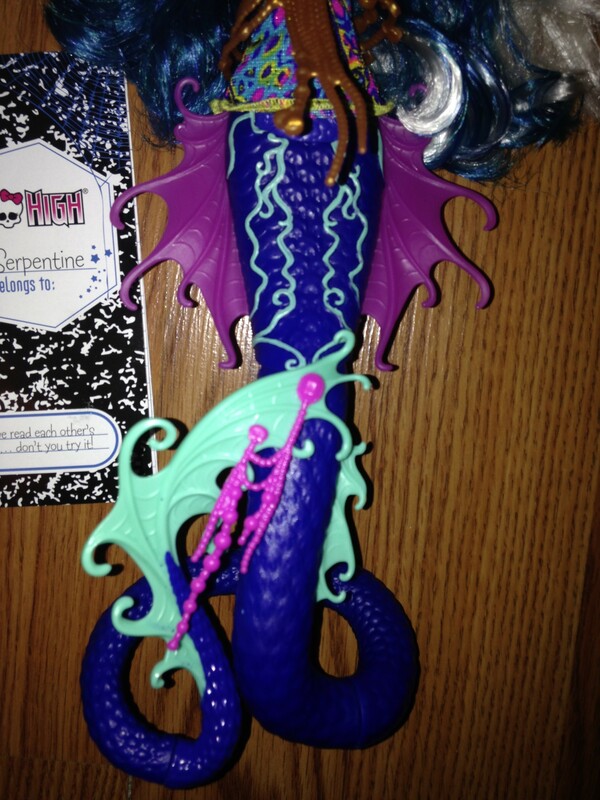 Home Dolls Peri and Pearl Serpentine Monster High Great Scarrier Reef Doll Review! 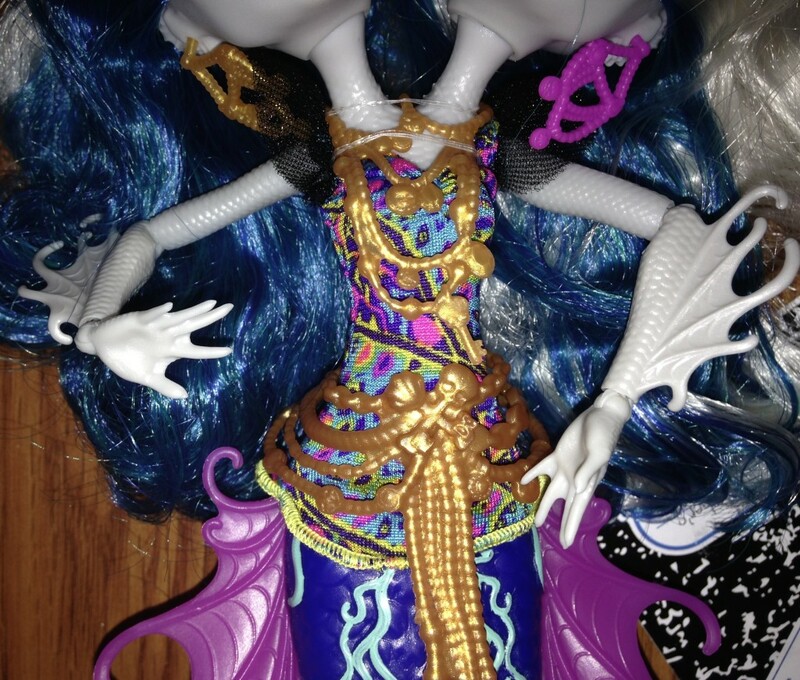 Peri and Pearl Serpentine Monster High Great Scarrier Reef Doll Review! 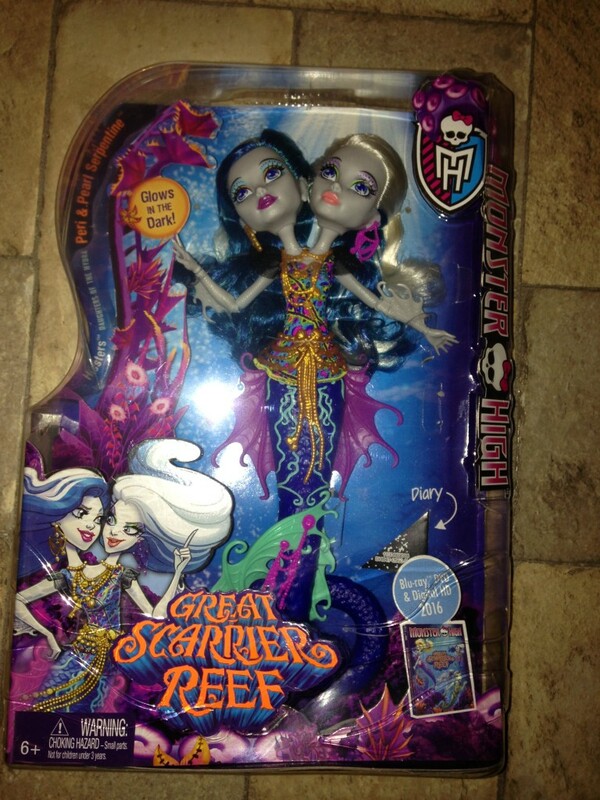 We were lucky enough to get a Monster High Great Scarier Reef doll and we wanted to give them a review. Meet Peri and Pearl Serpentine. 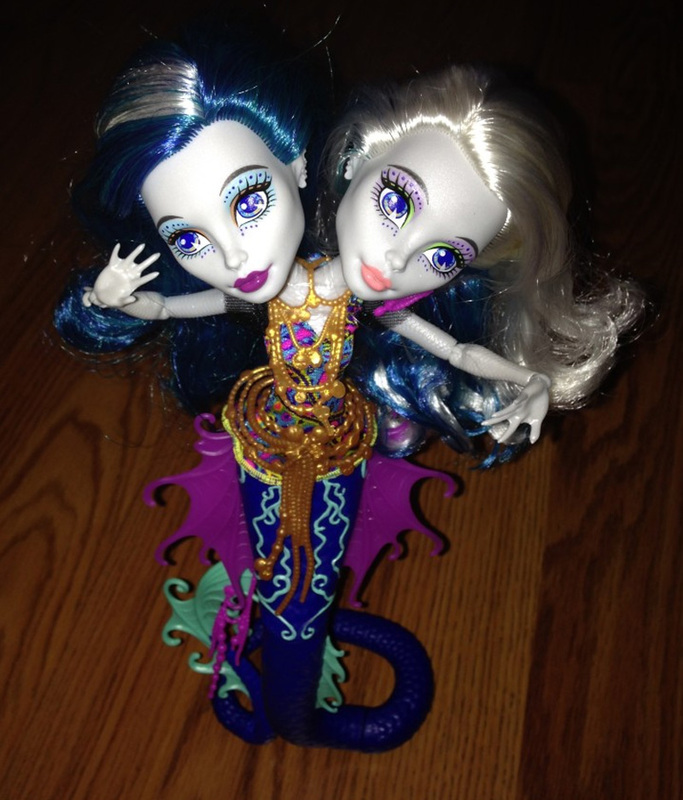 Hissters ™ that are the daughters of the Hydra. Watch the video review. Article continues below. I know that a lot of collectors have wanted a 2 headed doll for a long time. 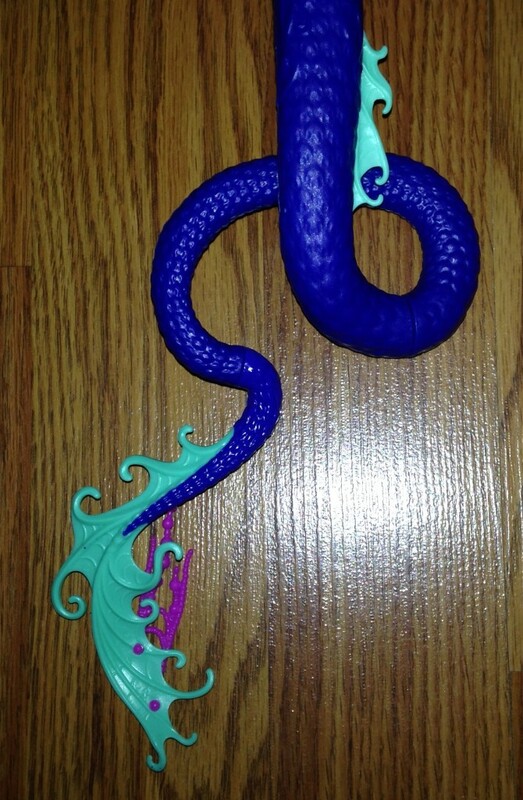 There were customizers getting molds made to accommodate 2 heads and now there is a doll that is not only 2 headed, she also has a snake tail –reminds me of a variation on the Djinni *Whisp* Grant tail she has in the SDCC 2015 edition. There is no doll stand with this doll but that is because you can adjust the tail and they stand on their own. 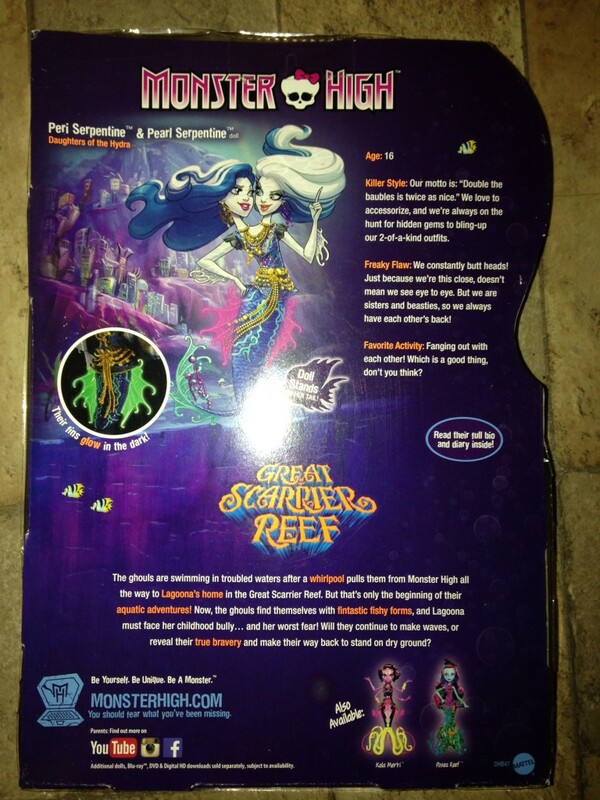 We can see that The Great Scarier Reef DVD will be coming out in 2016. The doll is very pretty. I love the two toned hair and the textured scales and fins on the arms. The details on this doll are well done. I love the colors! I love the tail decorations. 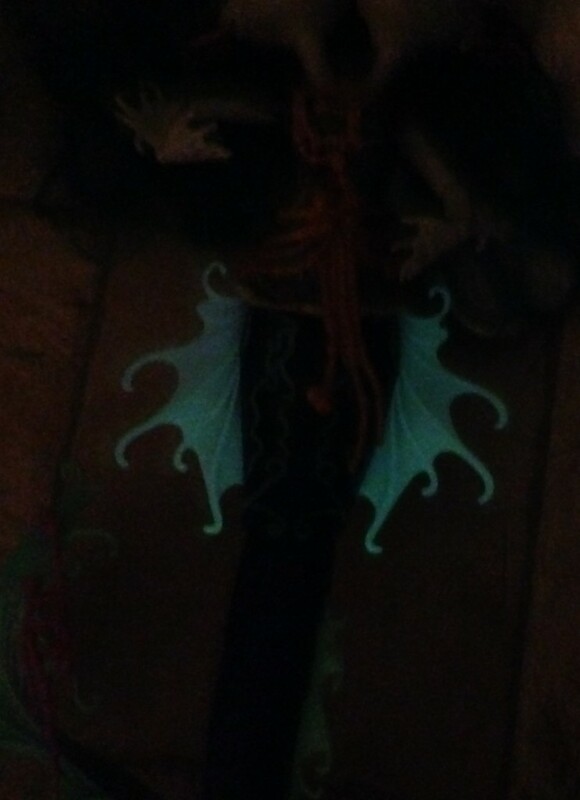 The pinkish/purple fins are the parts that glow-in-the-dark. Here you can get a good look at their make-up. 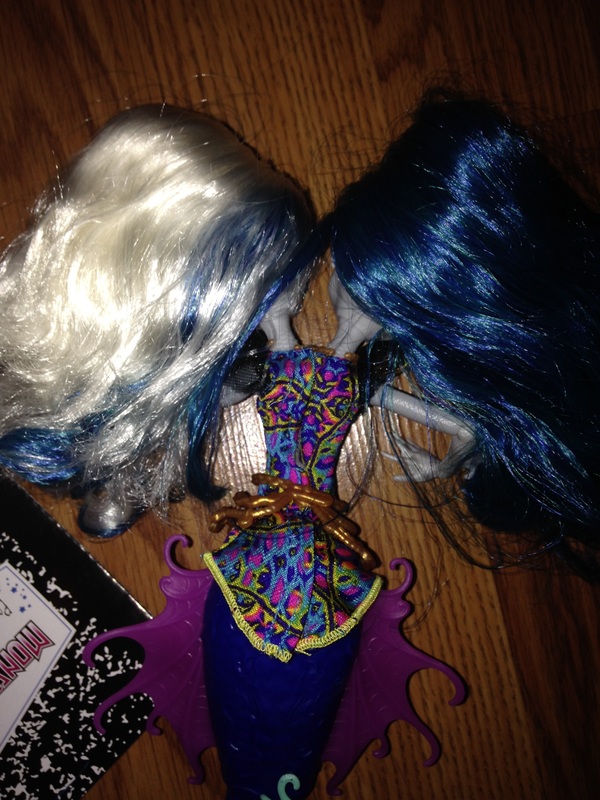 I took a photo from the back side of the dolls to show you how it looks. 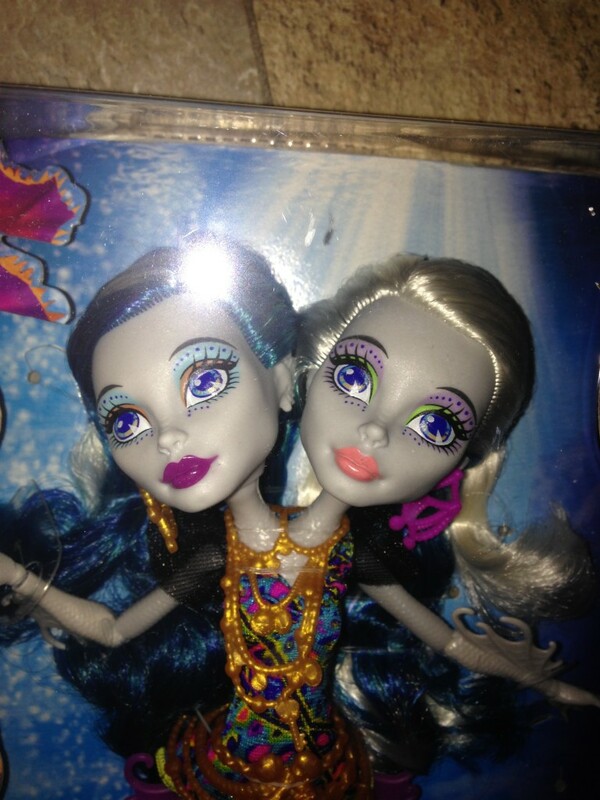 Overall I am really liking the new dolls. We can’t wait to get some more. Check out Kairi’s video review below.